It was in the news that, Azita Momtaz an Iranian Bahai student of Zand University in the city of Shiraz was expelled from university just because she is from another faith as Bahai. She was finishing her last year in university and after finishing almost 92 courses ,when she was expelled. The university officials said that, because of being a Bahai she is expelled from university. But there are also speculation that she is expelled from university with an order from Ministry of information. It is needed to add that, this is not the first time this is happening ,in the past hundreds or may be thousands of students, Bahai or political activists are expelled and even jailed or even died because of discrimination and cruelties. MP and member of Cultural Commission of "Majles" : Using Facebook is a Crime !!?? Clergy Nasrolah Pejmanfar an MP and member of cultural commission in the Islamic regime in Iran said: "Using Facebook is a crime and it is illegal at present ." He added: Of course on the issue of Facebook there must be more discussion and need the approval of the Leader . According to reports , disciplinary forces of the Islamic regime in Iran arrested 45 Facebook users in " Velenjak " area. Those arrested are 24 women and 21men. One of the regime website known as " Dana " wrote; through Facebook and as friends the group were organizing a rally around " velenjak area. Regime has created an unbearable atmosphere for internet users in Iran , the internet using in Iran is from minimum to zero and sometimes the speed is so very much slow that,the internet users almost give up the interest to internet. The hands of regime's agents and forces are open to restrict internet and to arrest internet users on whatever bases of Islamic Sharia laws and under so called "national security". 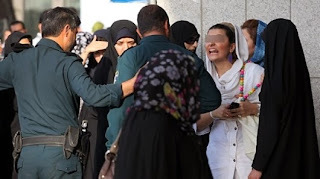 In the past 50 Iranian were arrested in a " water game" in the city of Karaj also in a party called through Facebook 30 people were arrested in the city of Noushahr , it was also in the report that 8 internet users were arrested in the city of Rafsanjan with an order by city prosecutor. 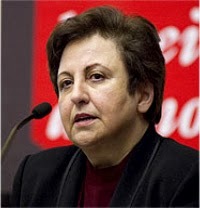 In her latest monthly report, Shirin Ebadi, the human rights defender and winner of Nobel Peace Prize in 2003, has reviewed the human rights situation in Iran during the month of Khordad 1392 [Iranian month corresponding to 21 May to 21 June 2013]. In the introduction to the report for May-June, Dr. Ebadi has focused on the issues of the freedom of expression, and the importance of free flow of information, and she has assessed the way the Islamic Republic of Iran is approaching these two issues. In her report, this defender of human rights has made a reference to the ongoing hacking of websites [endorsed by the state authorities in Iran] , as well as the Intelligence Ministry’s summoning of the family members of Iranian journalists working for Persian language media organizations outside Iran. Dr. Ebadi's latest monthly report has emphasized the importance of the officials of the Islamic Republic of Iran respecting the freedom of expression. Moreover, the report by the 2003 Nobel Peace Prize Laureate, which is published in both Farsi and English languages, has set out to review the human rights situation in Iran under the three main headings of: “civil and political rights”, “social and economic rights”, and “cultural heritage and the environment”. During the month of Khordad, in which the 11th presidential elections in Iran were held, a number of websites, including the official website of the Centre for Defenders of Human Rights, were hacked on three separate occasions by a group calling itself "the unknown virtual jihad" group. According to the findings of some investigations carried out, it has become clear that the above-named group is operated and directed by the agents and officials of the Islamic Republic of Iran. Of course, this problem continued right until the end of Khordad, and even efforts by technical specialists did not manage to rectify the situation. At the same time, there were severe disruptions in access to the Internet in many regions of the country, as a result of blocking and filtering the service and reducing its speed. 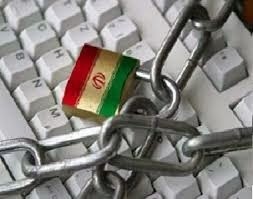 It should be noted that a number of official websites and news agencies were also blocked by the "working group for determination of manifestations of unlawful content"
These kinds of unlawful activities are yet more examples of restrictions imposed on the freedom of expression and the free flow of information in Iran, and we have seen similar activities time and again in the past. Every time that the Islamic Republic of Iran senses that it is facing threat and danger, it resorts to a variety of unlawful courses of action, such as for instance hacking different websites, jamming the signals of Farsi language TV channels based outside Iran, and finally putting pressure on, or making threats against, the families of individuals who live outside Iran and happen to be engaged in journalism or other professions involving communications and information dissemination. In this manner, the regime tries to silence the voice of its critics, and create obstacles for the process of free flow and exchange of information. In addition, in the month of Khordad [21 May to 21 June 2013], the Google company, that is to say one of the major providers of Internet search engines, announced that it has noticed a series of politically motivated efforts aimed at hacking the accounts of tens of thousands of Iranians using its services. The noteworthy point that needs to be emphasized in relation to these unlawful and unethical courses of action is the fact that in the past, my own website, with the title “Shirin Ebadi”, was also hacked and the site became inaccessible to me. In addition, by misusing my name, the hackers embarked on publishing certain types of material which were not compatible with my points of view. Furthermore, on the Skype service too, several user IDs under the name of Shirin Ebadi have been created, but the fact is none of these has any connection at all with me. 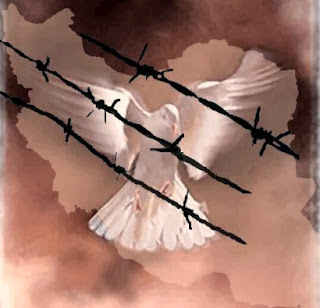 In addition to the topics mentioned above, what now follows is a summary account of the human rights situation in Iran during the month of 21 May to 21 June 2013. This report is based on information published by various media channels and websites, and their accuracy has been verified. The report will appear under three separate sections, in both Farsi and English. 1. During this month, 29 people were arrested and detained, some of whom were released after a few days once they were able to post a bail. The arrested individuals included: three student activists at the University of Shiraz, Mohammad Reza Vahedi, Azita Firuz-Zadeh and Mehdi Farmani; the head of the youths' section of the election campaign HQ for Hassan Rouhani (one of the candidates in the presidential elections), Sa'idollah Badashti; three members of the youths' section of the election campaign HQ for Hassan Rouhani in the city of Tabriz, Behnam Nikzad, Amin Farid Yahya'i and Ali Arujzadeh; an official in the Islamic Iran Participation Front in West Azarbayjan Province, Esma'il Mirza'i; three members of the home-based church in Esfahan Province, Mohammad Reza Farid, Sa'id Safi and Hamid Reza Qadiri; four sympathizers and supporters of the council for the religious-nationalist activists, Reza Aqakhani, Nasrollah Lashani, Alireza Akbarzadeh and Hossein Bahira'i; the head of the Mujahedin of the Islamic Revolution Organization in Kohgiluyeh va Boyer Ahmad Province [western Iran], Seyyed Reza Askari; ; the head of the Islamic Iran Participation Front in Kohgiluyeh va Boyer Ahmad Province; a member of the Islamic Iran Participation Front in Kohgiluyeh va Boyer Ahmad Province, Qasem Yazdani; a member of the central council of the Mujahedin of the Islamic Revolution Organization in Kohgiluyeh va Boyer Ahmad Province, Seyyed Askar Erfanizadeh; five citizens who were present at one of the election campaign gatherings of Hassan Rouhani in Tehran, Mohammad Parsi, Mohsen Rahmani, Nafiseh Nikbakht, Shirin Mirkarimi, Mohammad Ehtesham and Zahra Saff Yari; a priest active in the Assemblies of God church, Robert Aseriyan; a social and civil activist in the city of Esfahan, Na'im Salavati; political activist Pezhman Zafarmand; and a student activist in Tabriz, Arash Mohammadi. 2. Afshin Koshtkari, a student activist, has been transferred to the Adel Abad Prison of Shiraz in order to serve his six month custodial prison sentence. At the same time, another student activist, Ashkan Zahabian, was transferred to the Babol [northern Iran] prison to serve his six month jail sentence. Finally, Akbar Amini, who had received a verdict of imprisonment for five years, has been arrested and transferred to Evin Prison. 3. Seyyed Mahmud Alizadeh Tabataba'i, a defence lawyer, has been sentenced to four months custodial prison sentence as well as 500 lashes. In addition, under the complementary punishment, he was also banned from practicing his profession as a lawyer for a period of five years. Saleh Moradi, an activist defending the rights of the members of the Derwish sect was sentenced to one year custodial prison term, in addition to one year in exile. Furthermore, Mahmud Beheshti Langarudi, the former spokesman of the Professional Association of Iranian Teachers, was sentenced to a five year imprisonment term which will be in addition to his previous four year suspended prison sentence. At the same time, Ehsan Hushmand, an activist supporting the religious-nationalist camp, was given a one year suspended prison term. Finally, Sa'id Madani, a member of the council for the religious-nationalist activists - who is currently in prison -. was given a jail term of six years in exile in the city of Bandar Abbas [southern Iranian port] followed by a further 10 years of exile in the same city, while Mohammad Sadeq Honarvar Shoja’i, a critical cleric and weblog writer who is currently in Evin Prison, was sentenced to one more year of imprisonment. 4. Mohtaram Rahmani, a social and civil activist, has been summoned to the Islamic Revolution Magistrate Court for interrogation. In addition, Hamed Siyasi-Rad, Mehdiyeh Golru and Hossein Ma'sumi too have been summoned to the Intelligence Ministry for interrogation. 5. The Intelligence Ministry has closed down the church of the Assemblies of God denomination [in central Tehran]. 6. State intelligence and security institutions have prevented the holding of memorial ceremonies in Qom for the late Ayatollah Taheri, a cleric who was critical of the Iranian political system. Furthermore, the senior officials of the Islamic Republic of Iran did not allow the burial of Ayatollah Taheri's body next to Ayatollah Montazeri's grave [senior cleric also from Esfahan Province who was highly critical of the Islamic Republic]. 1. Two journalists, Omid Abdolvahhabi and Hesamoddin Eslamlu, were arrested during the month. 2. The BBC and Radio Farda organizations have announced that Iran's Intelligence Ministry has summoned the family members of staff who are working in the Persian language departments of these media organs. The family members of Jamshid Barzegar are among those who have been summoned in this manner. 3. A court has issued a verdict suspending the publication of Iran newspaper temporarily for six months. 4. The bail of 700 million Rials for Yaser Ma’sumi, who collaborated with the website editions of newspapers, has been confiscated after he left Iran. The guarantor who posted the bail for him will now have to pay 40 million Rials every two months. 5. The website of Hassan Rouhani, the presidential election candidate, has been made inaccessible. The website of the coalition of [reformist candidate] Mohammad Reza Aref and Rouhani, the Internet edition of Mardomsalari newspaper, the IBNA News Internet site, and the web site of the “Government of Spring”, as well as the personal weblog and Internet site of Ghoalm Ali Raja’i, an adviser to Hashemi Rafsanjani, have also been blocked [by the government]. Moreover, an order to block access to the Mehr News Agency website was issued, but the was revoked following a direct order issued by the Prosecutor. 6. The use of Gmail service became almost impossible for its subscribers inside the country for a while. In the meantime, Hamrah-e Avval Company [one of the major mobile phone providers in Iran] embarked on filtering out some of the words contained in material sent out to the public by the election campaign HQ of Hassan Rouhani has attempt to filter some words out of the messages communicated by Hassan Rouhani's election campaign HQ. 7. The printed supplement of Iran daily newspaper has been banned by the Tehran Prosecutor. 8. The chairman of the Iran Cinema Owners Association has announced the bankruptcy of around 95 per cent of all cinema halls in the country. 1. 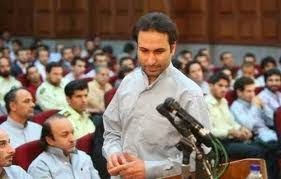 Majid has been executed in the Raja'i Shahr prison of the city of Karaj. Javan newspaper said he had been convicted of the crime of premeditated murder. Also, Mansur and Morteza have been sentenced to death in the city of Baharestan. Media organs affiliated to the Iranian Government announced that they were found guilty of [sexually] abusing and murdering children. Finally, Javad and Sa'id have been sentenced to death in the city of Varamin. Media sources linked with the Iranian state said they had been convicted of abducting and sexually assaulting women. 2. According to the official booklet for selecting subjects of study before sitting the entry examinations for master degree places at universities, the admission of female students has been suspended in seven major subjects at the Industrial University of Esfahan. 3. 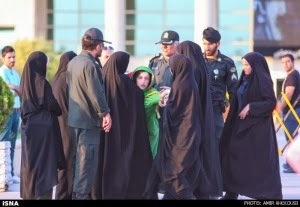 Police officers and the Iranian Football Federation officials prevented women from entering the Azadi Stadium [Tehran’s main sports ground] to participate in ceremonies celebrating the qualification of the national football team for the next World Cup. The Islamic Republic of Iran is opposed to women’s presence in sports stadium alongside men. 1. The economic conditions in the country are still reported to be unfavourable. According to the latest information released by the Iran Statistics Centre, in Iran today, around 1,700,000 children are forced to work instead of getting an education. In the meantime, according to an announcement by the Iran Statistics Centre, the rate of inflation in the month of Ordibehesht [21 April to 21 May 2013] increased to 31 per cent and the overall index grew by more than 1 per cent, reaching 156.7 per cents. 2. Automakers have a total debt of 800 billion Tumans to the foundry factories. 3. The Budget Law has deprived around 700,000 construction workers from having insurance rights. This is while the President of the House of Industry and Mine in Iran has said that more than 40 per cent of the country's manufacturing activities have come to a halt. 4. The payment of salaries of the some workers at the Farsit Factory in the town of Dorud has been delayed for a period of around 6 months. 5. Some towns in West Azarbayjan, Ardabil and Khuzestan provinces are facing shortage of bread. 6. The wife of Reza Shahabi, a member of the direction board of the trade union of workers at the Vahed Company [Tehran public bus company] workers - who is currently serving his prison sentence of 6 years in Evin Prison – has been summoned to the Intelligence Ministry for interrogation. Reports concerning cultural heritage and environment in the month of Khordad also serve to indicate the presence of unfavourable conditions in these areas. 1. The head of the Department for Water and Sewage Hygiene at the Ministry of Health has announced that the problem of irrigation of a number of farms with sewage water still exists. 2. Since the start of the current “water year” in Mehr 1391 [month between 21 September and 21 October 2012] until the present time, the volume of water in the reservoirs of dams in Tehran has fallen by around 26 per cent compared with the corresponding period in the previous year. 3. Activities by illegal excavators and smugglers of antique items and artefacts have been on the increase during the first few months of the current [Iranian] year [which began on 21 March 2013]. 4. Some of the historical old houses in the city of Yazd have been destroyed. 5. Some 400 hectares of oak forests in Ilam Province are on the verge of destruction. 6. According to a statement by the spokesman for the Agriculture Committee in the Islamic Majlis, minute dust particles [caused by dust storms mainly in Iraq] have penetrated some 22 provinces of Iran. This has caused damage to such an extent that around 50 to 100 per cent of the Zagros forests in Ilam Province have gone dry. Furthermore, according to a member of the environment fraction in the Islamic Consultative Majlis, the incidents of throat cancer have increased among the people of provinces which are grappling with the problem of air pollution by dust particles. In addition, dust particles caused by the drought-hit Zayandeh Rud river [in Esfahan] have been reported to be toxic. The need to respect the freedom of expression and ensure the free flow of information is one of the duties of governments. I would therefore like to draw the attention of the Islamic Republic’s authorities to this point, and I hope Mr. Hassan Rouhani, as the country’s elected president, is going to put a stop to such unlawful actions by the state officials. 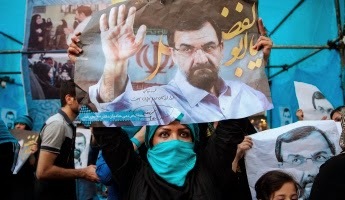 An Iranian woman holds a poster supporting presidential candidate Mohsen Rezaie in Tehran. Ahmadinejad easily triumphed over Mousavi’s 33.8 percent. So why then, immediately following the release of the results, did tens of thousands of Iranians take to the streets of Tehran to protest Ahmadinejad’s re-election? The wide margin of Ahmadinejad’s victory defied the expectations of a close race that had preceded the official vote. Although no concrete evidence could be found to confirm government interference with the results, Mousavi declared himself the victim of “fraud” and "manipulation", a complaint that drew agreement from the other opposition candidates. Rallies continued for months following the election, calling for President Ahmadinejad’s removal from office. Although the Green Revolution protests – the popular name for the 2009 demonstrations in reference to Mousavi’s campaign colour – were relatively peaceful, the Iranian government cracked down severely on dissidents. Riot squads attacked and beat protesters, who demanded that, in accordance with democracy, the president elect represent the will of the majority. At least 30 Iranians were killed, and over 2500 protesters were imprisoned . In an attempt to quell the growing size of the rallies, the Iranian government sought to end the exchange of information between people. Authorities blocked cell phone transmissions, and heavily intensified their efforts to inhibit public Internet access, slowing Internet speed to less than ten percent of its normal rate and blocking social networks and oppositionist websites altogether. The government also banned public protests and rallies, and made it illegal to outwardly express dissatisfaction with the results of the election. Although Ahmadinejad’s regime was ultimately unable to completely disable communications between people, the fact remains that the Iranian government explicitly tried to eliminate public access to media that would allow the people to unite or express their opposition to the wrongfully claimed presidency. Four years later, little has changed. The upcoming election scheduled for this Friday, June 14, brings with it levels of public censorship similar to those experienced in the era of the Green Revolution. Public access to information continues to be heavily censored in Iran, an effort led by the Supreme Council of Virtual Space. Created in 2012, the Council has the authority to block text messages and websites that contain targeted words, typically those referencing the names or slogans of certain political candidates. Certain news sites have been taken offline entirely as the election approaches. Thousands of websites are blocked in Iran, including social networks such as Facebook and Twitter, any websites considered to be un-Islamic or politically dissenting, and Internet access slows to approximately five percent of its already sluggish speed while accessing email. To circumvent these restrictions, many people have set up virtual private networks (VPNs) which allow users to hide their IP address and location so that it appears to be a computer operating outside of Iran. Nevertheless, the Council has recently gained control over VPNs , and has shut them down periodically; on the eve of the announcement of the final candidate list for the upcoming election, all VPNs were shut down, likely out of the government’s fear of the public revolting as it did four years ago. This censorship body of immense influence was created, not by the order of the president, but by Iran’s Supreme Leader, who supersedes the president’s power. Thus, the Council responds directly to the will of Supreme Leader Ayatollah Ali Khamenei, who ultimately decides what can be accessed and what must be blocked. So as candidates campaign vigourously for public appeal, Ayatollah Khamenei has the power to allow those that he favours to gain a wider audience than those that he disapproves of. Widely recognized as Ayatollah Khamenei’s favoured candidate, Saeed Jalili has the best and most comprehensive social media network, including podcasts, Twitter, Facebook, and Google+ accounts, while other candidates experience tremendous resistance to their Internet networking. Before he was disqualified from his candidacy, Esfaniar Rahim Mashaei had been targeted by the Supreme Council of Virtual Space; they blocked any message or website that used either his name or his slogan, "Spring is arriving" because in 2009 Mashaei was dismissed from his role as First Vice President of Iran by Ayatollah Khamenei for holding dissenting views. "For free and fair elections, it is necessary for the public to have complete and equal access to information on all candidates," says Abdolalian. "This does not happen in Iran, so it is hard for the Iranian people to make an informed choice." Ayatollah Khamenei possesses the power, by limiting and deciding what information reaches the public through the internet and other mediums, to heavily influence the outcome of the election; by no means do the results of the election rest solely within the hands of the people. Article 19 of the Universal Declaration of Human Rights states that “everyone has the right to freedom of opinion and expression; this right includes freedom to hold opinions without interference and to seek, receive, and impart information and ideas through any media and regardless of frontier.” There are at least 40 journalists currently imprisoned in Iran for their writing – the second highest amount in the world – and the Iranian government continues to take drastic measures towards preventing necessary information regarding the election from reaching the very people who will be casting the votes. With such rampant censorship and explicit limitation throughout Iran at the hands of Ayatollah Khamenei and the Supreme Council of Virtual Space – which Abdolalian refers to as “watch dogs” who create a climate of fear – the Iranian people do not have access to information that is crucial to the voting process, nor do they have the freedom to express their opinions wherever they differ from those held by the regime. Even if the results of tomorrow’s election appear uncorrupted by the government, the outcome will still be far from a free and democratic representation of the will of the Iranian people. On Sep. 1, 2013 the Iraqi special forces raided camp Ashraf, Killed 52 people and kidnapped 7 including 6 women. 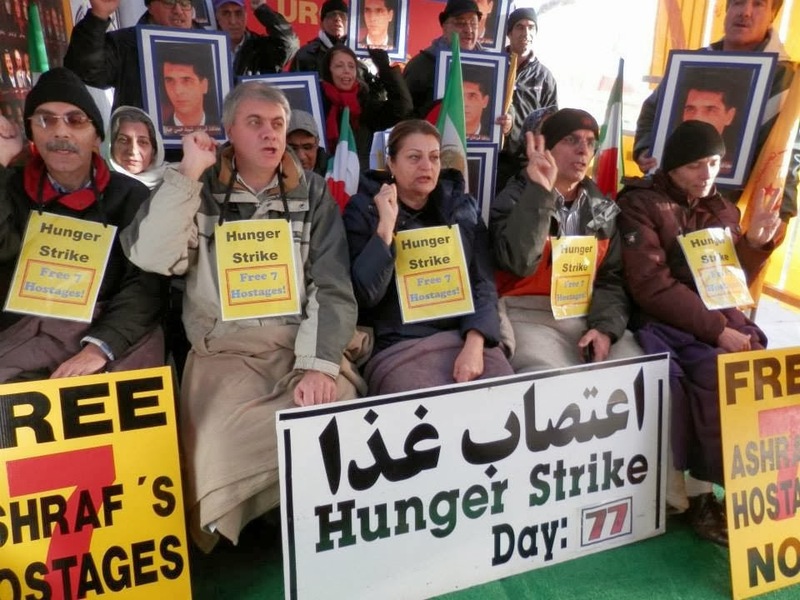 Hundreds of Camp liberty residents, have been on hunger strike ever since. In solidarity with the Liberty residents In Ottawa in front of the US embassy several Iranian-Canadians are on Hunger Strike to demand the release of 7 hostages and the UN blue helmet to be stationed at camp Liberty to protect the residents as promised by UN and US. Mohammad Javad Larijani Head of Human Rights at Judiciary Power of the Islamic regime : Iran is the Cradle of Democracy in the Region ! Mohammad Javad Larijani : Iran is the Only Democracy in the Region !????? Mohammad Javad Larijani in a meeting with Swedish consulate delegate criticized the policy of the Secular Liberal Democracy of the West on Human Right and called Islamic regime in Iran as a cradle of democracy in the region. He said: Iran has differences on the fundamental of current human rights charter. He said : We are after and supporting the UPR type of reporting in the UN human rights council but the western countries are following on the mechanism of reporting on each countries. 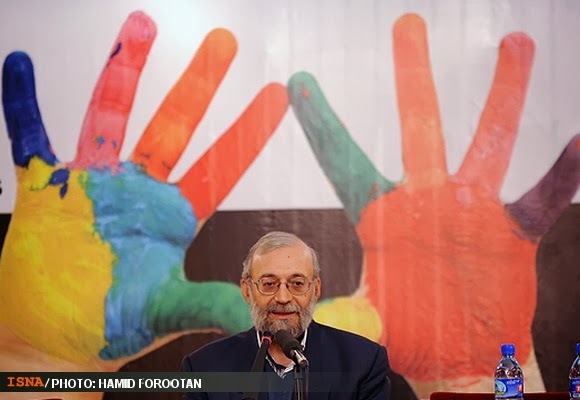 report says , Larijani explained about human rights and judiciary system of the Islamic regime to the delegate and answered to their question on execution in Iran. 1- After the presidential coup in 2009 - Thousands of Iranian from all walks of lives were arrested and in a kangaroo court sentenced to jail..
4- Three Green movement leader under house Arrest for 1000 days now ( Three years)without any charges. 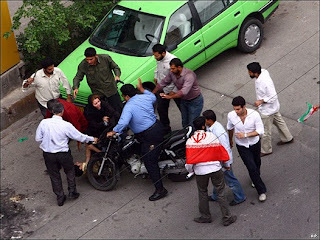 IRAN WATCH CANADA: Shame is a good things ....but not for this regime . “Today marks the 100th day since Iranian President Hassan Rouhani came into office, having been elected on a campaign of moderation, with promises to prepare a civil rights charter, to mend international relations and to rid the country of punishing sanctions. “While there has been a more conciliatory tone from the new president, we must judge the Iranian government by its deeds, not by its words. Now, after 100 days, it is clear that these deeds have fallen short of the urgent actions required to address the situation of human rights in Iran. “With President Rouhani, Iran has an opportunity to demonstrate that it can meaningfully address the demands of its people by taking concrete steps to grant Iranian citizens the human rights and dignity to which they are entitled. Canada 'skeptical' of Iran despite historic talk with U.S.
No permission for Frouhar's children to hold Memorial Day for their murdered parent ! Parastoo Forouhar daughter of murdered Darioush Forouhar and Parvaneh Eskandari ( Murdered at their home with knives by agents of the ministry of information 15 years ago) who currently live in Germany on speaking with Khodnevis website said: Every year i travel to Iran on the eve of my parents tragic death( memorial day) just to be in Iran , in that house ,although the regime won't allow me to hold a memorial day for them. 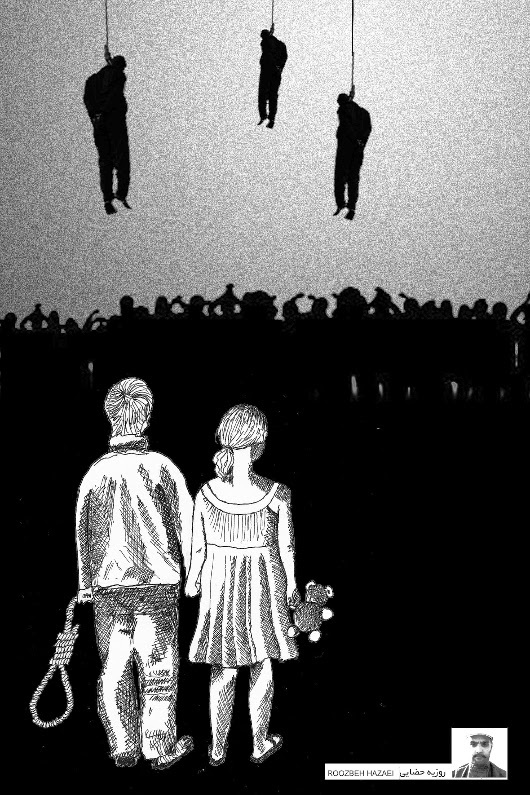 .No justice for my parents and the murderers got promotions. Her passport was taken away by the agents of the ministry of information when she arrived at Khomeini International Airport. "I met with ministry of information officials and asked for a permission to hold a memorial day , the official told me, you can only hold the memorial at home with close relatives and not members of counter revolutionary political groups, which means not even my parents colleagues and party members....... "
A court in the city of Ilam sentenced 6 Iranian Kurdish to 36 months in jail term ! According to News a court of the Islamic regime in the city of Ilam by presiding judge Shokri sentenced 6 Iranian Kurdish journalist to 36 Months in jail. And Mr. Rahmatolah Cheraghi , Mr. Ali Yousefi and Mr. Sajad Gheisari each received 6 months suspended sentence. And Ms. Nasrin Bavandpour an Iranian Kurdish poet was acquitted. All these journalists were working for the local Monthly Kurdish language Magazine known as " Veriya " . They were all arrested by agents of the Ministry of information and were released earlier on heavy bail,but now three of them must spend time in jail. According to Fars News Agency ( A Sepah Pasdaran Publication ) , " Ham Mihann" newspaper is banned from publication. According to Ham Mihan there has been a legal issue for the closure and soon it will resume publication. This newspaper run by Gholamhosein Karbaschi. (Beirut, November 12, 2013) – Three major opposition figures in Iran have been under house arrest or detention for 1,000 days with no charges against them, notwithstanding President Hassan Rouhani’s promise to release political prisoners, Human Rights Watch and theInternational Campaign for Human Rights in Iran said today. 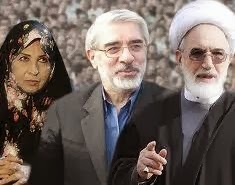 The Iranian government should immediately and unconditionally release the opposition figures and 2009 presidential candidates Mehdi Karroubi and Mir Hossein Mousavi, and Mousavi’s wife, Zahra Rahnavard, an author and political activist. On November 12, 2013, the three will have spent 1,000 days under house arrest or detention without charge or trial. No governmental agency or body has expressly accepted responsibility for the opposition figures’ detention or brought any charges against them. 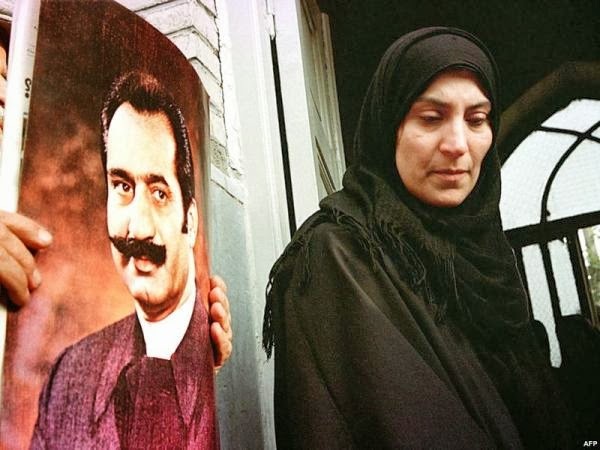 Officials placed the two former presidential candidates and their wives, Zahra Rahnavard and Fatemeh Karroubi, under house arrest on February 14, 2011, in response to opposition figures’ call for demonstrations in support of popular uprisings across the Middle East. Officials have released Fatemeh Karroubi from house arrest, but the other three remain detained. During almost three years of detention, officials have prevented the three from regularly contacting or seeing their families or receiving adequate medical care. They have also summoned and imprisoned relatives of the detainees for speaking out about their plight. Asked whether Rouhani’s government would set up a special committee to examine releasing the opposition figures from detention, Justice Minister Mostafa Pourmohammadi said, “The government will not interfere in these matters,” Iran’s semi-official Mehr News Agency reported on October 30. A few weeks earlier, Pourmohammadi had told reporters that the Supreme National Security Council would review the detentions. The council is headed by President Rouhani, and its members include the heads of the legislative and judiciary branches of government and other high-ranking political figures. Pourmohammadi hinted then that they might soon release the opposition leaders. Four days later, a judiciary spokesman denied that would happen. Senior officials have given varied accounts of the rationale for the house arrests and detention. In November 2011, Mohammad Javad Larijani, head of the High Council for Human Rights, said that the detainees had engaged in “illegal activities” and incited violence. 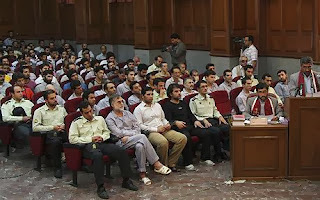 He also said that Iran’s judiciary would not place anyone under house arrest without trial and court order, and that the public would soon learn of the charges against the detainees. More than a year later, on December 25, 2012, when officials still had not brought charges against the opposition figures, Iran’s police chief, Esmail Ahmadi Moghaddam, said that the country’s supreme leader Ayatollah Ali Khamenei had approved the detentions in advance. Mohammad Taghi Karroubi, the Karroubis’ son, told the International Campaign for Human Rights in Iran that the authorities are holding his father in a safe house controlled by security and intelligence forces, notwithstanding what he called “untruthful allegations” from the government about the circumstances of his father’s detention. Security and intelligence agents mostly prevent Karroubi from contacting or seeing others, and physically prevent him from leaving the premises, Mohammad Taghi Karroubi said. Mohammad Taghi Karroubi blamed the detention for a “serious deterioration” in his father’s health, including the worsening of his heart condition. He said the family’s “most serious concern is that security officials allow [my father] to be treated by a specialist doctor selected by the family,” and reiterated his father’s call for the authorities to bring charges against him and try him publicly if he has committed a crime. Other sources familiar with Mehdi Karroubi’s medical condition also reported that his health has deteriorated dramatically during the past two-and-a-half years. In July a source familiar with Mousavi’s medical problems reported that his blood pressure has fluctuated erratically due to a heart condition. He suffers from a blocked artery and underwent angioplasty in 2011. The source said that security forces had prevented him from receiving medical check-ups every 50 days, as doctors recommended and, during his latest visit to the hospital, prevented him from remaining in the hospital to receive medical tests. Authorities also physically prevent Mousavi and Rahnavard from leaving their home and only allow them infrequent and preapproved visits from immediate family members. On October 24, Mousavi’s adult daughters reported that a female security agent physically assaulted them after a visit to their parents’ home on October 24. Pourmohammadi later dismissed the claim as “noise from the media.” On February 11, two days before the second anniversary of the arbitrary detentions of their parents and Mehdi Karroubi, authorities arrested Mousavi and Rahnavard’s daughters, Zahra and Narges Mousavi, and Mohammad Hossein Karroubi, another of the Karroubis’ sons. Officials released them later that day. 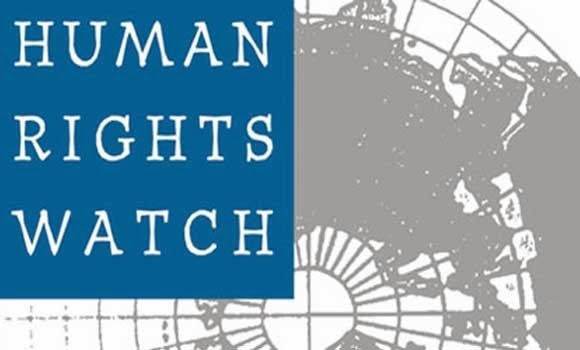 Both Human Rights Watch and the International Campaign for Human Rights in Iran have repeatedly called on Iran’s authorities, including President Rouhani, to push for the release of the opposition figures and give them adequate access to medical care. Various United Nations organizations have repeatedly called on the Iranian government to release the three opposition figures, and have declared their detention arbitrary and unlawful. On February 11, 2013, three UN special rapporteurs called for the immediate release of Mousavi and Karoubi and their family members, along with other people who remain in prison for peacefully exercising their rights to freedom of opinion and expression, or freedom of association and assembly. 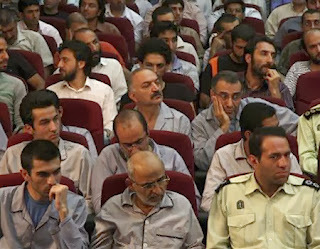 In August 2012, the United Nations Working Group on Arbitrary Detention, a body of five independent experts acting under the UN Human Rights Council, issued an opinion that the detentions are “arbitrary (and thus prohibited),” and recommended that the Iranian government release the detainees immediately and compensate them for their wrongful imprisonment. In September 2011, the UN Working Group on Enforced or Involuntary Disappearances initiated urgent investigations to determine the fate of the opposition figures, whose whereabouts had not been revealed at the time. Other UN officials and bodies, including the secretary general, the special rapporteur on the situation of human rights in Iran, the Human Rights Council, and the General Assembly, have also characterized the detentions as arbitrary detention and called for the detainees’ immediate release. “These detentions, as well as the continued imprisonment of other political prisoners, are one of the most important barometers of the human rights situation inside Iran,” Ghaemi said. By Iranian Cartoonist & journalist Nik Ahang Kosar.
" Jump at the back of uncle" ? 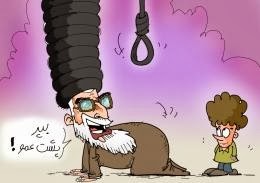 Cartoon shows Khamenei the leader of the Islamic regime in Iran asking a kid to jump and ride at the back of uncle . News coming from Iran indicate that, after the last months attack to the homes of 14 Bahai's in the city of Abadeh near Shiraz by regime agents and after interrogation of the family members and confiscation of Bahai books and materials ,the agents told the Bahai's in order to protect themselves from knives attack by city residents, leave the city or else face the consequences. 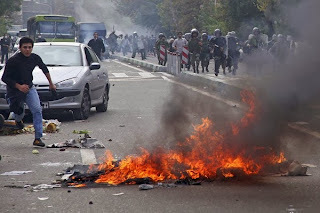 According to Ms. Dian Alaei representative of Bahai society in UN -Geneva , agents of regime early morning of October 13 ,2013 attacked at these homes and told the residents to leave the city of Abadeh. They told these Bahai's , the residents of these city do not like you and may attack you and your children with knives while you are walking in the city . But Bahai resident says they did not experience any animosity of residents and their experience with residents of Abadeh is other than what the agents are saying. Ms. Alaei says, the reality is that,most of this plan of attacks are the acts of regime agents and the people of Abadeh has nothing against the Bahai's . Ms. Alaei is saying that, more than 100 Bahai's are currently in prison and since 2005 more than 52 Bahai's were attacked and suffered some kinds of injuries in the streets. Abadeh is a city between Isfahan and Shiraz and has 60,000 resident,it has significant number of Bahai resident. "Execution Game" in just one month took two Kids lives ! 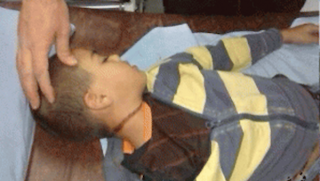 Two kids one 7 years old ( Mohammad Ashoubi) and another 8 years old ( Mehran Yousefi) died while playing the " Execution Game" . 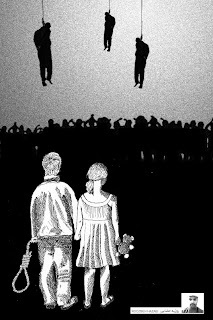 According to news they have seen the public hanging and did it as a game and lost their lives. 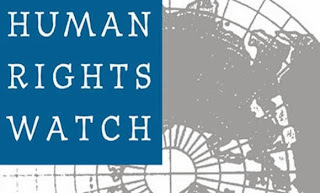 (Beirut, November 9, 2013) – The Iranian government should follow through on President Hassan Rouhani’s promises to improve access to human rights for religious minorities, Human Rights Watch said today. That should include allowing Sunni Muslims, a minority in Shia-dominated Iran, to gather and pray freely in their own mosques in Tehran and other areas of the country. 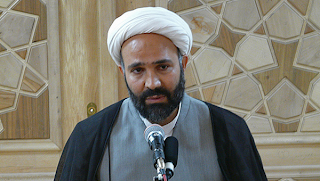 The Persian-language site Islah Web, the website of the Gathering to Call and Reform Iran, a Sunni group, reported that on October 15, Tehran police had summoned a board member of Sadeghiyeh Mosque and informed him that Sunnis could not use the site for prayers during Eid-e Ghorban (known as Eid al-Adha in Arab countries). Eid-e Ghorban commemorates the willingness of the prophet Ibrahim to sacrifice his first-born son, Ismail, as an act of submission to God. Sotudeh told Human Rights Watch that Abdolrahman Pirani, the secretary-general of the Gathering to Call and Reform Iran, who met with Younesi on October 29, emerged optimistic that the government would soon lift restrictions on worship for Sunnis in Tehran, and generally improve the situation for Sunnis. During his electoral campaign, Rouhani issued a 10-point statement guaranteeing equal protection of the law to all Iranians, regardless of ethnicity and religion.